Make 2010 the year you organize your digital images so you can easily find and share your photos. Looking for a new computer? Or just want some helpful tips or games to get your new year going. HP has what you need right here. A new craft. Delivered to your desktop. Free. Everyday. Get the free HP Daily Surprise—a new desktop app that brings you a fun, easy craft idea from the HP Creative Studio. Fresh everyday. Find out for yourself how easy it is to resize, repair and enhance your digital photos with Adobe Photoshop Elements 7.0. In this tutorial, you’ll become familiar with the Access 2007 interface, as well as create a simple database that includes tables, queries and forms. NEED HELP WITH YOUR HP PRODUCT? This issue occurs on some HP products introduced between 2002 and 2004, after installing Microsoft Internet Explorer 7 or 8 (MS IE 7 or MS IE 8) browser on the computer that is connected to the HP product because the MS IE 7 or 8 browsers might be incompatible with HP Director. Purchase the HP accidental protection care pack for your laptop, desktop, mini or mobile printer and get upgraded service and support coverage. You will always enjoy the convenience of 24/7 support assistance from an HP technician. Introducing the HP DreamScreen — a whole new channel for your music, photos, and video. 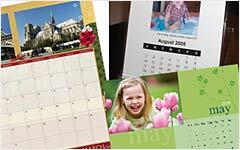 Match your decor, show off your kids at work or create unique gifts with these calendar projects. Get organized this year & save time with QuickBooks Online FREE! Spend more time making money and less time on your books. No accounting knowledge needed & you can work anytime and anywhere! »&nbsp;Sign up now. It’s FREE! Buy any product from the HP Direct Store from the Create Change program and donate 4% of your purchase to a charity of your choice. Charities include Red Cross, CARE, DonorsChoose, Junior Achievement, Susan G. Komen, Make-A-Wish Foundation, World Wildlife Fund. Be creative and show your love with your favorite photos and gifts like photo books, cards, jewelry, keepsake boxes and more. Enter coupon code 25OFFVAL2010 at checkout to avail the offer. Please note that the content of this email is intended for U.S. residents only. Please add Hewlett-Packard@us.newsgram.hp.com to your address book. Need help? Click here. This mailing was sent to Email Gallery because you signed up to receive the HP Newsgram. If you no longer want to receive the HP Newsgram, please click unsubscribe. To unsubscribe from the HP Newsgram and other marketing-related communication from HP, reply with “UNSUBSCRIBE” as the subject line. HP Privacy Mailbox 11445 Compaq Center Drive W. Mailstop 040307 Houston, TX 77070.